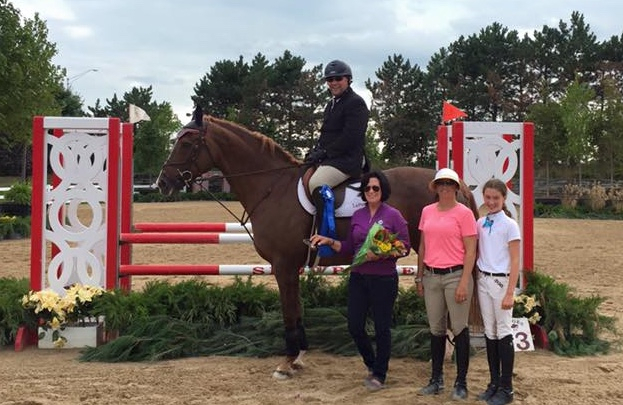 Becky Kozma earned the Leo Conroy Grant and won the Showplace Equitation Challenge. Photo Phelps Media. Elgin, IL – November 16, 2015 - Perfecta Farm is looking forward to the IHJA Year End Banquet on November 21st. The banquet celebrates the year of hard work, successful training and dedicated riders, as they are awarded their Championships for the season’s highest scoring horse and rider combinations. Rest assured, Perfecta Farm will have many of them, thanks to Kim Gardiner’s winning program. With assistant trainers Mara Kranz-Olseng and Carmine D’Aversa, the team can cover all the bases for the different levels of riders at the farm. 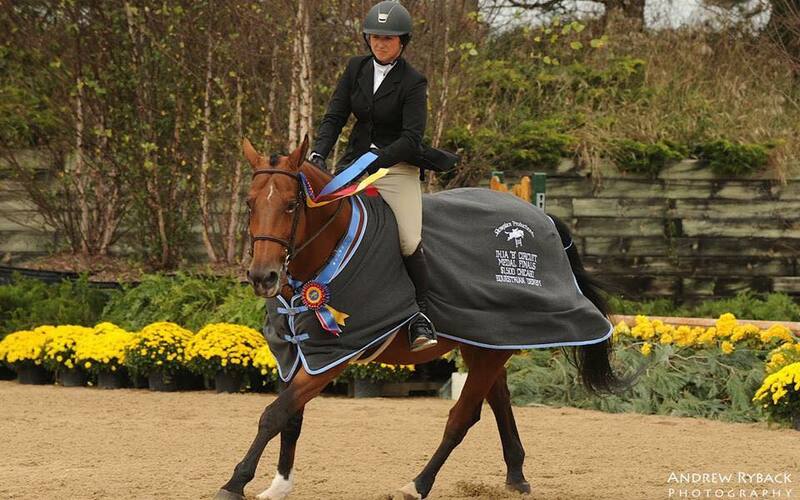 Perfecta Farm is no stranger to the winner’s circle, especially in the equitation divisions. 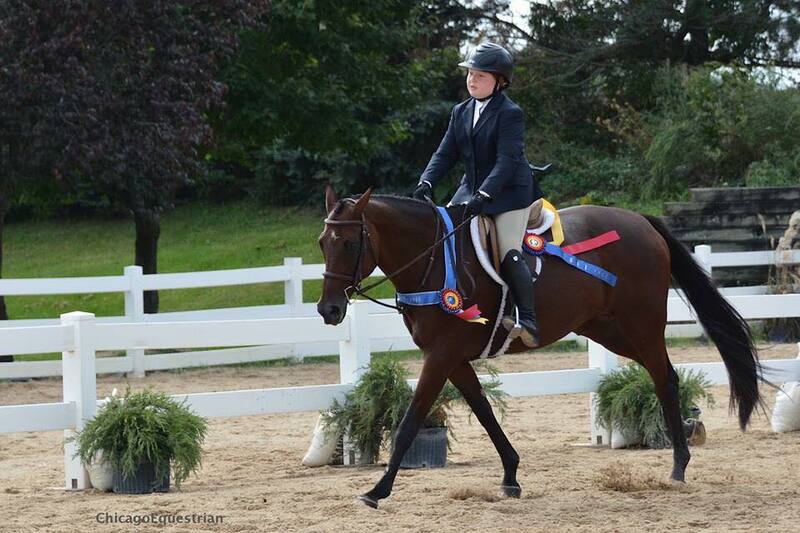 From the National Medal Finals to the IHJA B Finals, Perfecta Farm has produced successful riders. Celia Bresch and One Direction finished 7th in the $10,000 NAL Children's Jumper Finals. At the Pennsylvania National Horse Show, Celia Bresch and Emily Scarnechia’s One Direction finished 7th in the $10,000 NAL Children’s Jumper Finals. Bresch, along with Becky Kozma and Andria Talavera, competed in the USEF Pessoa Medal Finals and the ASPCA Maclay Medal Finals. Kozma earned the Leo Conroy Grant to attend the Maclay finals. The girls also collected top ribbons in the Zone 5 Horsemanship class at the Kentucky National. In usual Perfecta Farm style, Bresch earned the Zone 5 Championship in the 14 and Under Equitation and Kozma took the title in the 15-17 Equitation for 2015 and also was the IHJA Reserve Champion in the Junior Medal Finals. Caitlin Boyle at the USET Talent Search Finals. 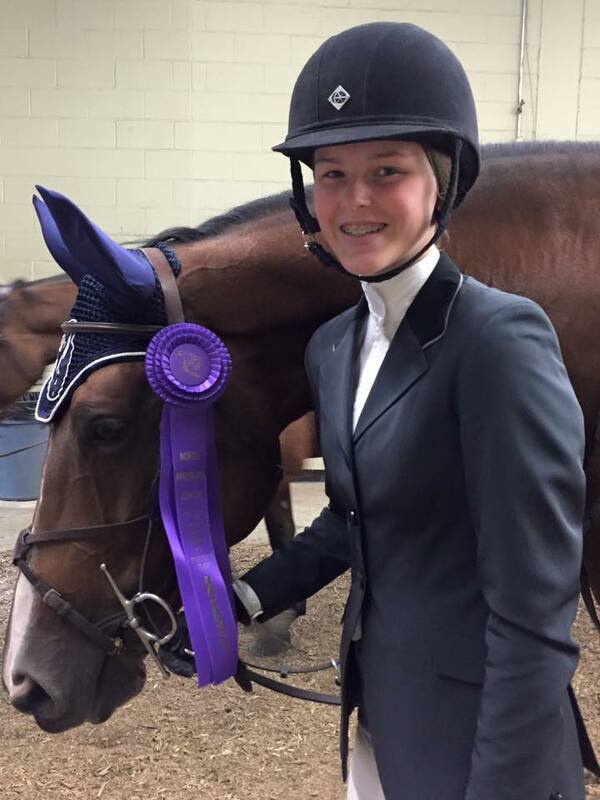 More national winners include Perfecta alum, Caitlin Boyle, now attending Auburn University, who finished fifth in the USEF Talent Search East Finals. Boyle also earned a USET Gold Medal for 20 Talent Search wins, joining Perfecta graduates Haley Buchmiller and Kranz-Olseng in the prestigious group. Kozma joins Boyle at Auburn as a newly signed member to the Equestrian Team for the fall of 2016. The Auburn Equestrian Team has lineup of some of the country's best young riders. Juliana Gullo won the Limit Medal B Finals. Back home in the Chicago area, Juliana Gullo won the Limit Medal Finals on the B Circuit while Andrea Pileggi won the Adult Medal Finals. Sam Jenson collected the Grand Junior Champion at the Perfecta Farm B Show while Steve LaPorta won the 1.15m Jumper Sweepstakes on Amerikan Romance for the second year in a row. Trainer Kranz-Olseng,also earned top honors as the leading professional rider in the Chicago Equestrian Hunter Derby Series for 2015. Mara Kranz Olseng was the Leading Professional Rider in the Chicago Equestrian Hunter Derby Series. Photo Andrew Ryback. For other Perfecta riders, acquiring their first horse or a new horse, was the highlight of their year. 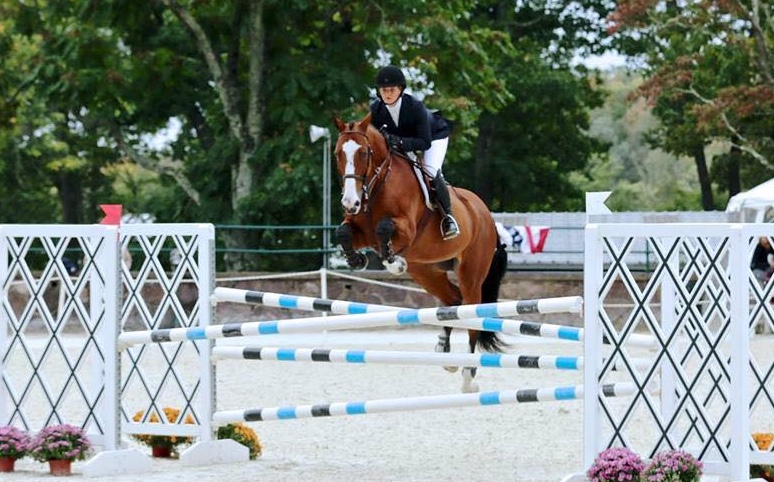 Perfecta can lease horses to riders for the season and can come up with a solution for almost any budget, allowing everyone to participate in the sport. Steve LaPorta and Amerikan Romance won the 1.15m Sweepstakes at the Perfecta B Show. Looking ahead to the banquet, Perfecta will be taking home numerous Championships on both the A and B circuits in not only the equitation, but also jumper and hunter divisions, with their successes too long to list here. 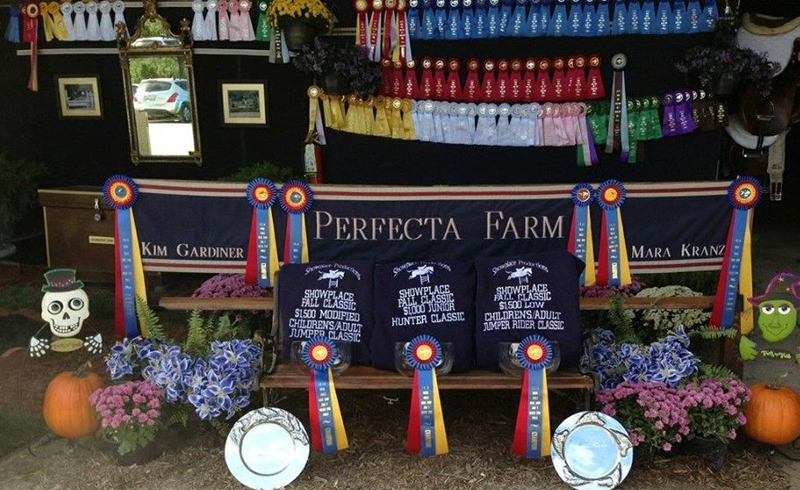 Perfecta Farm would like to congratulate all their winners and is looking forward to the 2016 show season. The farm is an equestrian facility that caters to not only the serious show competitor but to the rider starting at the entry level. They attend both A and B shows as well as offering schooling shows at their facility. They have a summer camp program with daily riding lesson, crafts, and field trips to exciting horse venues. Perfecta Farm is a friendly, family oriented environment with an emphasis on fun as well as safety. Gardiner has qualified many young riders for local medal finals, the National Equitation Championships and USET Gold Medal wins. The farm offers boarding, training, lessons and horses for sale. Contact Kim at 630-289-8488 or email pfarm199@aol.com.